Make installations easy with our medium post pounder, featuring a solid steel head for maximum driving force. 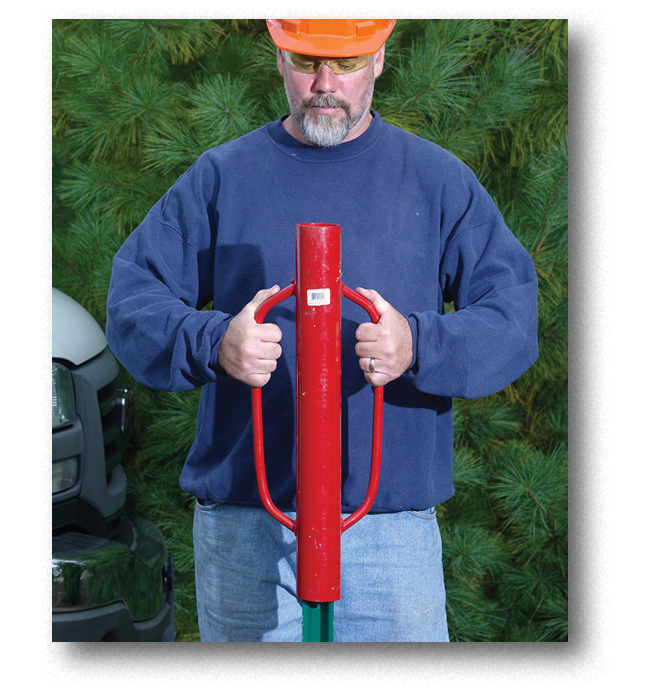 The side handles on this steel post pounder are tapered outward and back for a more comfortable grip and to keep your hands out of the way if driving posts close to fence lines. Steel post pounder drives posts up to 2-1/2" in diameter. 24" long, weighing 23lbs.